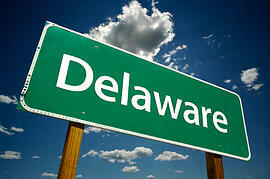 Delaware Franchise Tax: Why Do Some Companies Have to Pay Quarterly? Most people who are responsible for ensuring franchise taxes are paid on time for Delaware entities know that franchise taxes are due for domestic corporations (along with the annual report) on March 1st and for limited liability companies and limited partnerships on June 1st. So, there is often confusion when a company receives a quarterly tax notice from the state of Delaware along with confusion about how the tax payments are assessed and what the ramifications are for failure to make the payments on a timely basis. Which Corporations Must Pay Quarterly? Corporations owing $5,000 or more are expected to pay quarterly installments for the following tax year. That means that if your company paid $5,000 on March 1, 2012 for tax year 2011, the company will automatically become a quarterly tax payer. It’s all about owing $5,000 or more in taxes – that is the magic number to remember. What Happens If You Don’t Pay the Quarterly Taxes on Time? If you do not pay the quarterly taxes on time, then your company cannot obtain a Good Standing Certificate and interest will accrue on the unpaid tax balance. This can interfere with the company’s ability to close deals in a timely manner. June 1st is just a few days away! If you are expecting to close a deal and need a Good Standing Certificate from Delaware on or immediately after June 1st, you may want to make sure that the company has paid their taxes to date and is not a quarterly tax payer!